Registration for the Aldi Foróige Youth Citizenship Awards will close on March 6th. This year the Aldi Foróige Youth Citizenship Awards will take place on Saturday April 13th in the National Indoor Arena, in the National Sports Campus, Blanchardstown. As the 50th Anniversary of the Youth Citizenship Programme, it is a very special year for the awards! 230 Foróige members had a great night at the North Dublin Debutante Ball on Friday, February 15th. 17 people, including Foróige staff, volunteers, and teachers, attended the recent Leadership for Life Facilitator Training in Galway. For those interested in doing this training, you can complete a request form here. For more information please contact Leadership@foroige.ie. 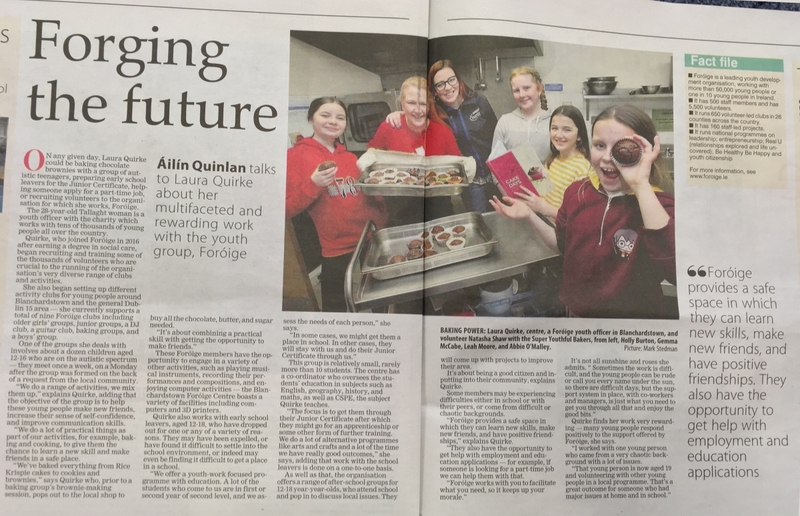 Today's Irish Examiner newspaper features an article by Áilín Quinlan who spoke to Youth Officer Laura Quirke about her mulifaceted work with Foróige. 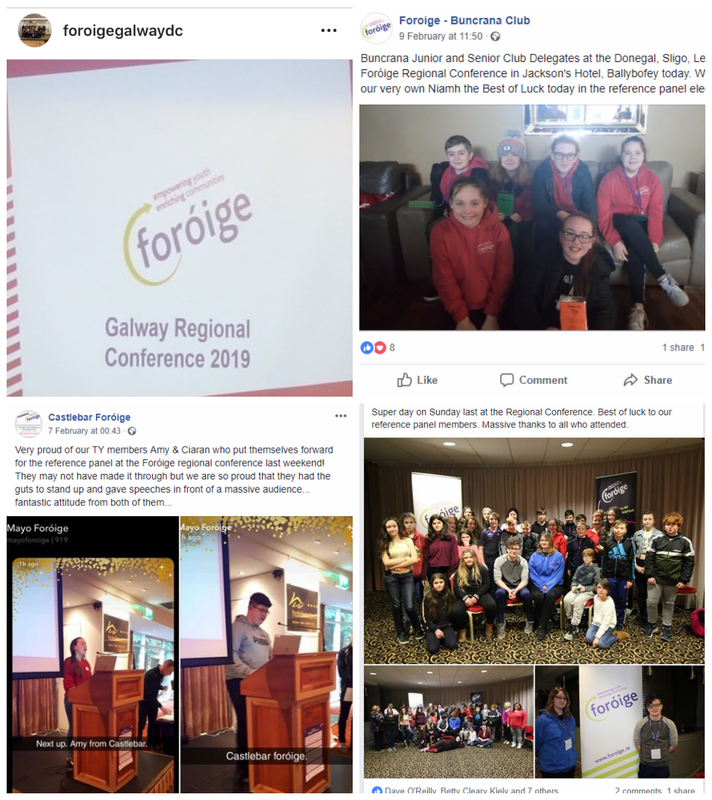 Foróige members attend regional conferences and seminars across the country! 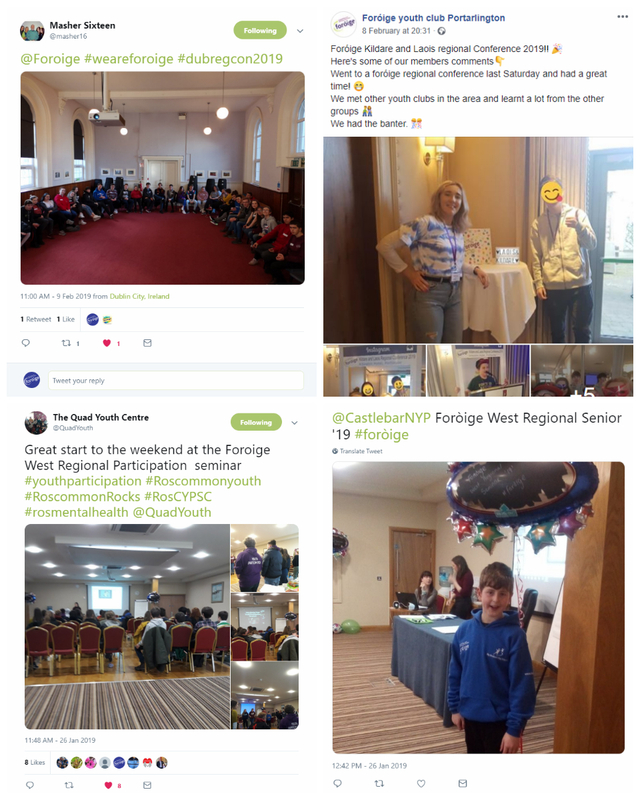 Over the past 4 weeks, Foróige Regional Conferences and Seminars took place across Ireland. At these events members discussed the key issues facing young people today, and also elected this year's Foróige Reference Panel - stay tuned, we will have a list soon!